Every family has its flaws. As much as we love our loved ones, sometimes… well, sometimes it’s a struggle to live with them. Positive Lessons from Negative Families is a new sermon series from Pas that unpacks the biblical principles that uphold and restore families – whether you’re dealing with deep dysfunction or looking to build on strong foundations. And this powerful series is yours today as our thank-you for your gift to share the Good News of Jesus with a world that truly needs His hope! 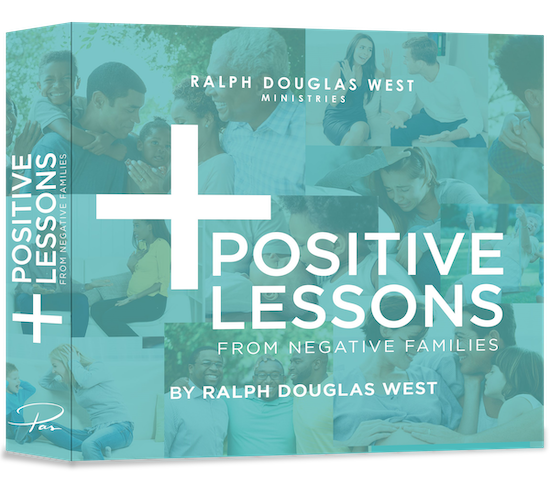 So request your copy of Positive Lessons from Negative Families when you give to share the grace and hope of Jesus today. Yes, please make this a monthly gift! I want to be encouraged by Pas’ Daily Email Devotional! Ralph Douglas West Ministries has partnered with RaiseDonors to assist in the processing of donations.